Better Than Ever for 2016. 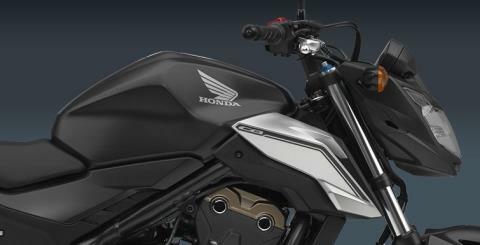 Honda’s twin-cylinder sportbikes revolutionized the world of motorcycling when they first appeared, and this latest generation—our 500 twins—are the best ever. Here’s what you need to know about the CB500F: It’s the most broad-spectrum of the 500 family, with minimal bodywork, a classic riding position, and a 30.9-inch seat height that fits a wide range of riders. Even though it’s just a couple of years old, for 2016, it gets some tasty updates both in terms of style and function. 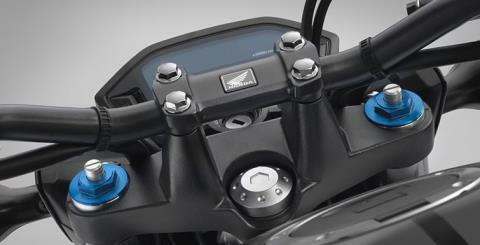 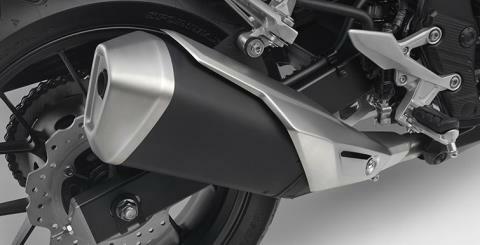 The best part stays the same: the powerful twin-cylinder engine and its wide, user-friendly powerband. 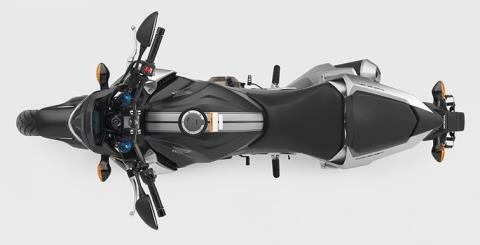 But for 2016, you get better shift feel thanks to some transmission upgrades, a new adjustable front-brake lever, a larger fuel tank, and preload-adjustable front suspension. And there’s more, too: The new headlight and crisper style you can see for yourself, but the new exhaust you’ll have to hear to appreciate. 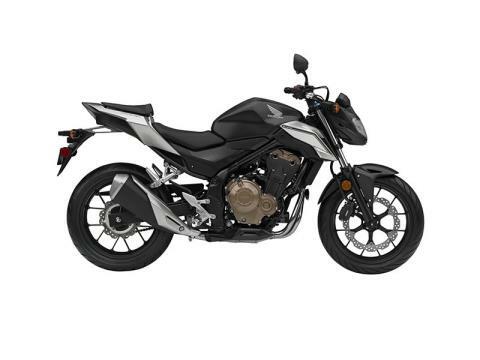 The CB500F has always been an excellent choice for riders ready to move up a displacement class, or for anyone who appreciates a great middleweight motorcycle, and for 2016, it’s even better. 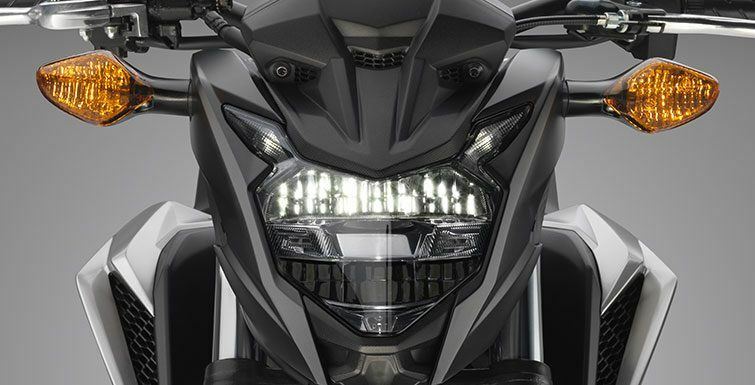 LED HEADLIGHT: A new styling element for 2016, the CB500F’s LED headlight gives the front end a cutting-edge look and also projects plenty of light on the road for visibility. 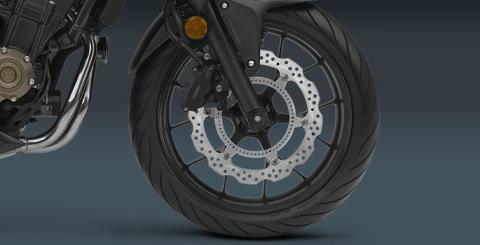 NEW EXHAUST: Another upgrade for 2016 is the CB500F’s shorter mass centralized exhaust. 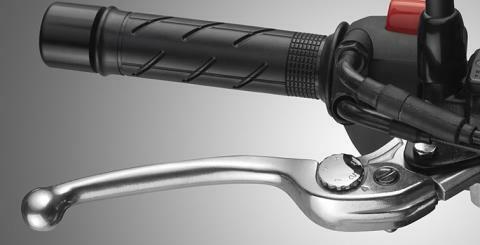 Internal changes give you a crisper exhaust note that you’re going to love.